Abstracted shapes and forms by Kofie. 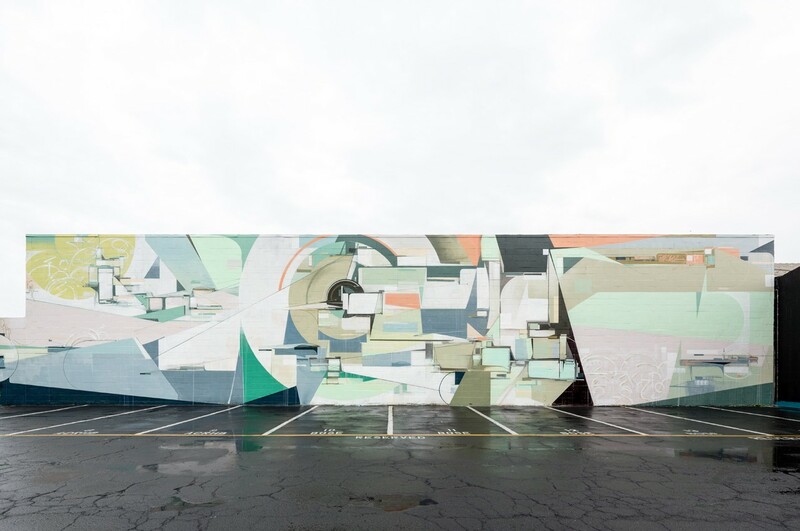 A mural that is at once arresting and demands a second look. Located on Kamani and Halekauwila Street.